ZIPLINING, which gained popularity in the jungles of Costa Rica, is well-suited for Maui, where large tracts of wild, breathtaking terrain provide the perfect backdrop for zipliners to sail through the treetops, dip into valleys and generally do their best imitation of a James Bond getaway. SKYLINE ECO-ADVENTURES introduced the sport to the island more than a decade ago at Haleakala Ranch, and later opened another location above Ka‘anapali. Skyline now offers new lines and new activities— and its most exciting attraction: Maui’s first-ever ZIP N’ DIP TOUR. Many Zip n’ Dip packages are available, and will surely get your heart pounding with excitement as you soar through tree tops to hidden valleys and waters. Skyline’s KA‘ANAPALI TOUR entails hours of fun. Views of West Maui, neighbor isles, Moloka‘i and Lana‘i, and the Pacific Ocean create the perfect backdrop. ULTIMATE TOUR brings together the best of both worlds: the complete Zip n’ Dip Tour, plus five zip courses from Ka‘anapali Tour (includes a snack break on Skyline’s viewing platform overlooking a 1,000-foot valley). In late 2008, PI‘IHOLO RANCH unveiled its upcountry zipline course with 16,000 feet of lines spanning 60 acres of its 800-acre cattle ranch, and recently, FLYIN HAWAIIAN ZIPLINE came on the scene with a course that begins at the Maui Tropical Plantation in Waikapu, and ends near Ma‘alaea Harbor. NORTHSHORE ZIPLINE also opened up a canopy tour at Camp Maui in Haiku. Each location and course is unique. For example, Skyline’s KA‘ANAPALI COURSE starts with an exciting ride in a 4-wheel-drive vehicle to the jump-off point and is equipped with eight high-speed lines and a wealth of panoramic views. At the company’s HALEAKALA LOCATION, you’ll walk about a half-mile through the woods and cross an Indiana Jones-style swinging bridge to the starting point. The course at Pi‘iholo Ranch is one of the longest in the world, and accessing the ziplines is an adventure in itself, as thrill-seekers must cross a 317-foot-long, 90-foot-high suspension bridge. THE TANGO TOWER features multiple climbing structures, a suspension bridge and a hammock at the top. 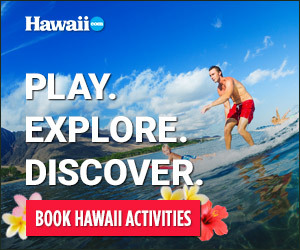 To get to Northshore Zipline’s TREE-TO-TREE CANOPY TOUR, drive to CAMP MAUI IN HAIKU. Find it by taking the Hana Highway (36 East) toward Hana, past Pa‘ia. Turn onto Haiku Road at mile marker 11, head uphill for 1.5 miles, then turn left at Haiku Town Center (Haiku Market Place). Keep going toward Kauhikoa Road, ending at 2065 Kauhikoa Road. To get to Skyline’s Haleakala headquarters, take Highway 37 to Highway 377, turn left on Highway 378 (Crater Road), and drive 2.5 miles to the redand-white building on the left. The Ka‘anapali tour assembles at Skyline’s retail store in the Fairway Shops in Ka‘anapali. NOTE: Skyline offers transportation to and from its Haleakala course from Kihei and Wailea. Pi‘iholo Ranch is near MAKAWAO. Travel east through the main intersection (four-way stop signs) on Makawao Avenue, and turn right on Pi‘iholo Road immediately past St. Joseph’s Church and Cemetery. Continue on Pi‘iholo Road for 1.5 miles, and then turn left on Waiahiwi Road, which is the first paved left. Follow the road to the ranch gate and entrance.